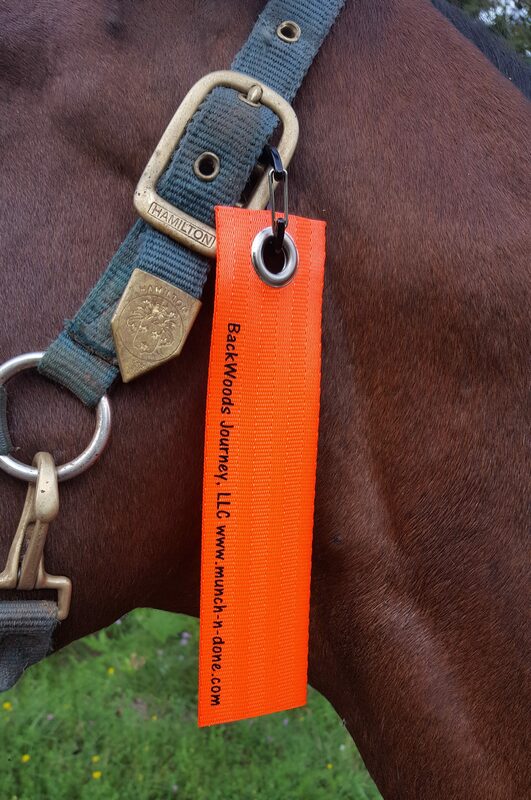 Sold in sets of two, our Be-Seen Safety Strips are Blaze Orange. 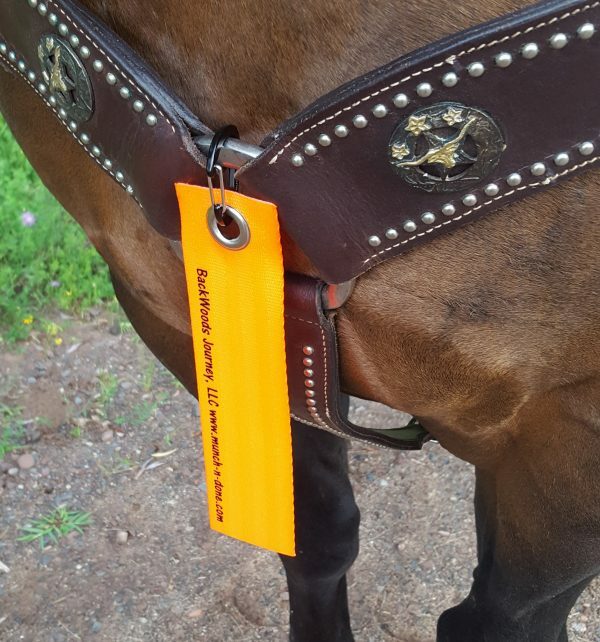 The snap is easily affixed to headstalls, flank cinch rings, or even the rings on either side behind the cantle of your saddle. 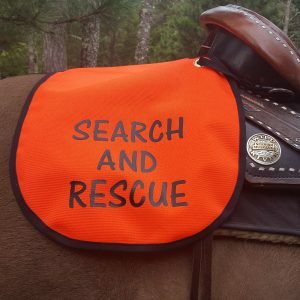 The fact that they move a little with the cadence of your horse’s steps helps a rider to be seen, especially in areas where big game hunting is allowed. 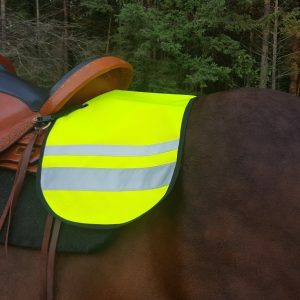 If you are die hard enough to ride right through hunting seasons, you need to be seen! 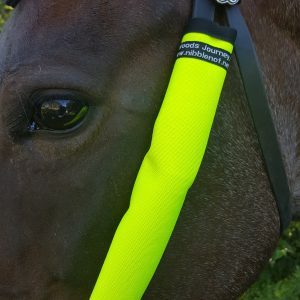 Our Be-Seen Safety Strips are 8″ nylon Blaze Orange, Neon Yellow, or Lime Green webbing strips, complete with a clip carabiner at one end to hang from headstall, halters, breast collars, or really, anywhere you want to hang them. 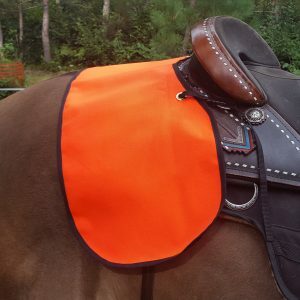 When used with our Croup Covers, you have both ends of the animal covered! 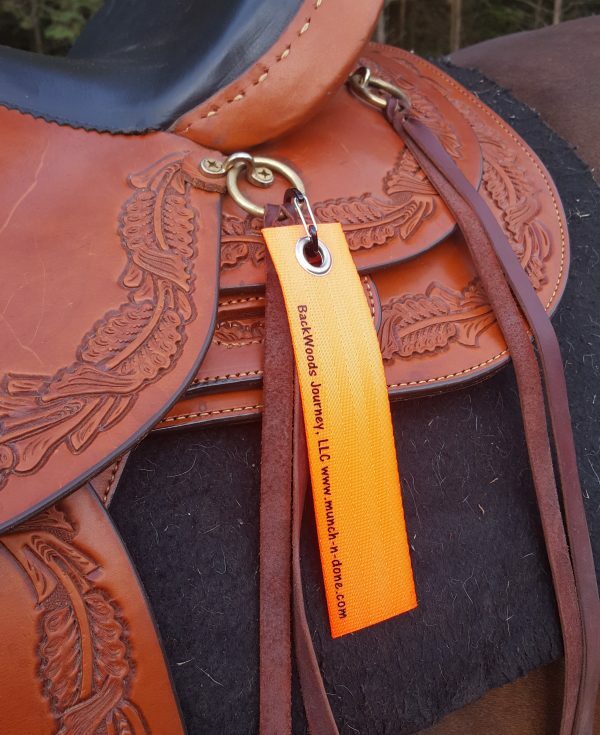 Versatility in application is endless. Comes in a set of two for $14.99.